Current inventory of Tub Grinders. 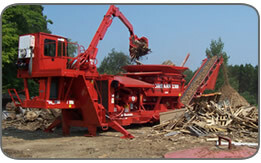 We carry all makes and models including: Morbark, Diamond Z, Vermeer, Toro, Hogzilla, W.H.O, Duratech, FHE, and more. Trade-ins are welcome and financing is available. Current inventory of Horizontal Grinders. 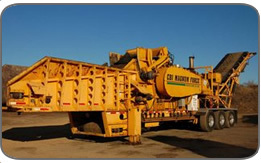 We carry all makes and models including: Morbark, Peterson, CBI, Bandit, Duratech, Rottochopper, and more. Trade-ins are welcome and financing is available.